Rain ending this evening. Partial clearing overnight. Low 43F. Winds NNW at 10 to 20 mph. Chance of rain 100%. Rainfall around a quarter of an inch.. Rain ending this evening. Partial clearing overnight. Low 43F. Winds NNW at 10 to 20 mph. Chance of rain 100%. Rainfall around a quarter of an inch. Caroline M. Young (nee Lackas), 88, Rubicon, passed away Thursday, March 7, 2019, at her residence surrounded by her loving family. Caroline was born Dec. 6, 1930, in Woodland, to Henry and Caroline (nee Kaiser) Lackas. She was united in marriage to Arthur Young on Sept. 20, 1952, at St. Matthew Catholic Church in Neosho. Caroline was a member of St. John Catholic Church in Rubicon and served in the Christian Mothers. 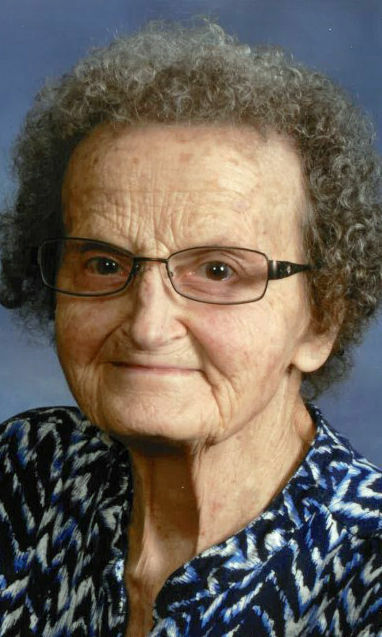 She loved her family and enjoyed watching the Brewers, her kitties on the farm, watching the deer run past in the fields, playing bingo, picking strawberries and apples, making strawberry rhubarb jam, baking cookies and making coffee for her loved ones. She is survived by her children, Larry (Mary) Young of Iron Ridge, Dennis (Marjorie) Young of Winter, Wisconsin, Keith (Leean) Young of Rubicon, Cindy (Mark) Schaefer of Iron Ridge and Denise (Brian) Foust of Rubicon; grandchildren, Jason (Angela) Young, Jennifer (Dale) Hedrick, Sam (Melissa) Grieser, Melanie Machmueller, Michelle Vandersteen (significant other, Cary), Megan Vandersteen (fiancé, Bobby), Brittany Young, Chantel (Dustin) Wiedmeyer, Ericka Schaefer, Nathan Jacklin (significant other, Abby), Austin Jacklin (significant other, Taylor), Emmylou (Blake) Washburn, Jessie (Audrey) Foust and Benjamin (Maria) Foust; great-grandchildren, Jozee, Gavin, Zach, Jacob, Matthew, Tylar, Heidi, Kylie, Sydney, Blake, Lily, Skye, Mason, Archer, Skylar, Leah, Bentley, Quinn, Jaxson, Camille, Lenni, Emmett, Cooper, Skylar, Trevor and Mya; sister-in-law, Marion Lackas; and brother and sisters-in-law, Delores (Herbert) Westphal and Donna Kling. She is further survived by nieces, nephews, other relatives and friends. Caroline was preceded in death by her parents; husband, Arthur; sisters, Ann (John) Sterr, Catherine (Jerome) Weber, Lucille (Francis) Merkes and brother, Henry Lackas. A Mass of Christian Burial will be held Tuesday, March 12, at 11 a.m. at St. John Catholic Church, W1170 Rome Road, Rubicon, with the Rev. David LaPlante officiating. Family will greet relatives and friends at the church Monday, March 11, from 3-7 p.m. and Tuesday, March 12, from 10-10:45 a.m.
Interment in St. John Cemetery, Rubicon. The family expresses their sincere gratitude to the doctors and staff at Aurora Health Center, Wound Care at Aurora Medical Center, and Hometown Hospice for their loving care they provided to Caroline. Shimon Funeral Home is assisting the family. Online condolences and tributes may be shared at www.shimonfuneralhome.com.